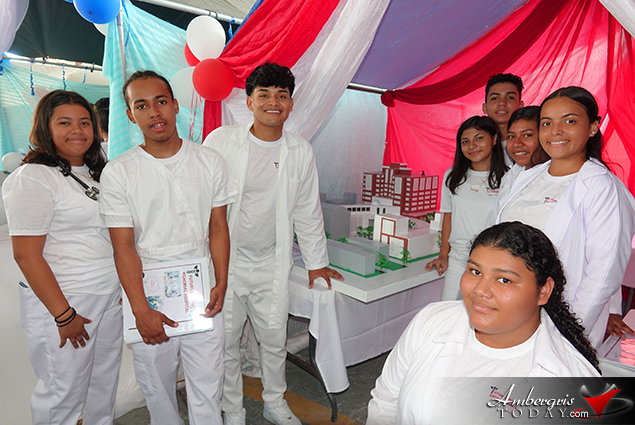 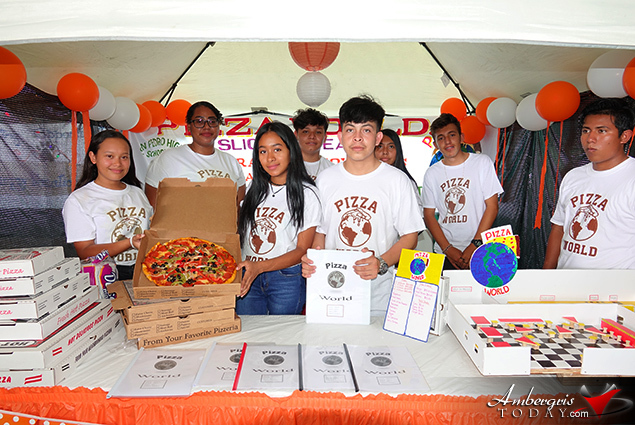 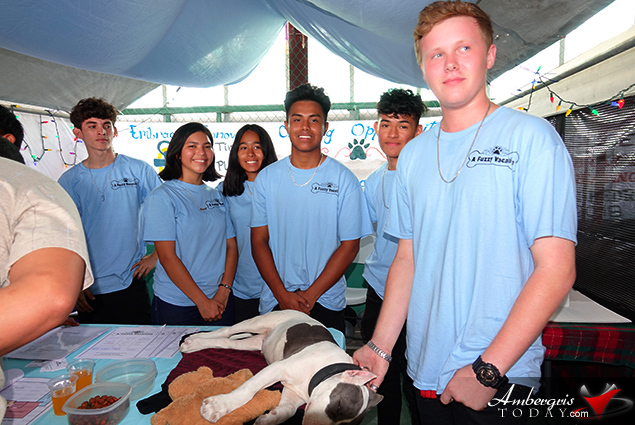 San Pedro High School celebrated its 10th Business Fair on Friday, April 5, 2019. 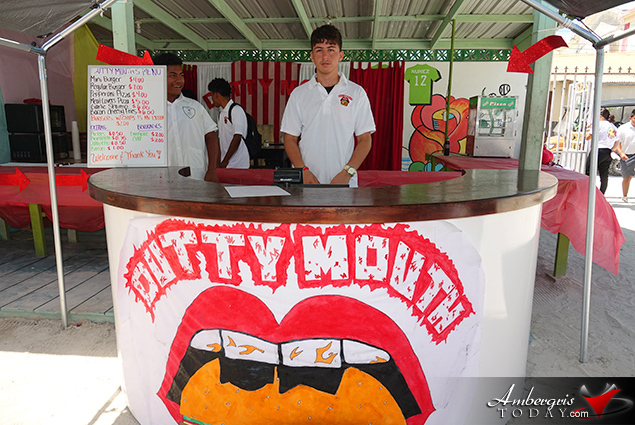 Senior and junior students were given the opportunity to show off their marketing skills by creating a product/business and putting it up for display and sale at the fair. 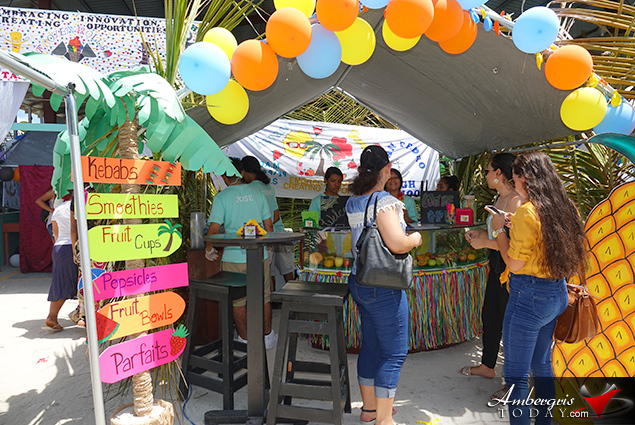 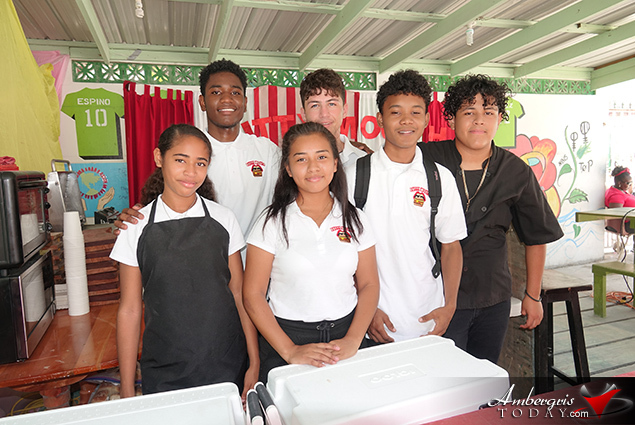 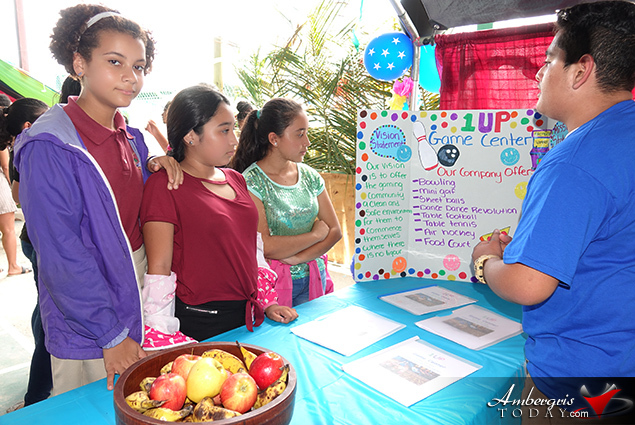 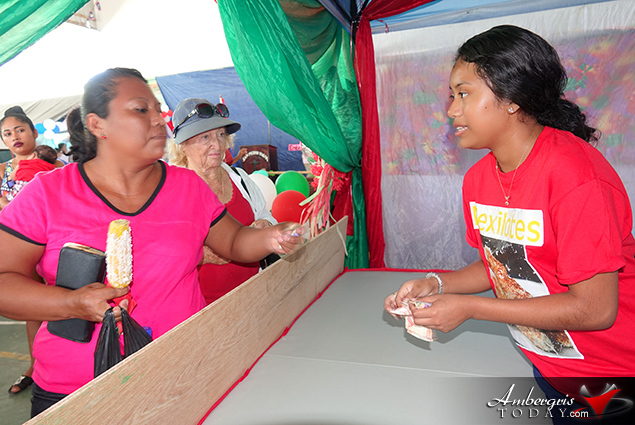 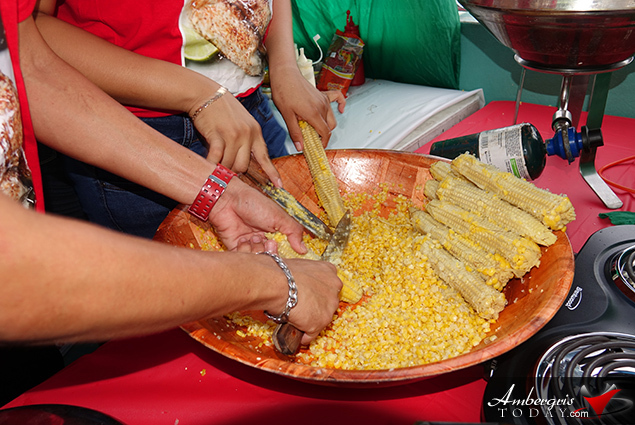 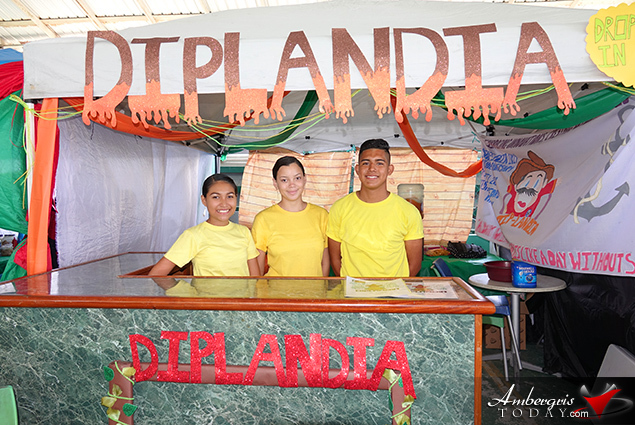 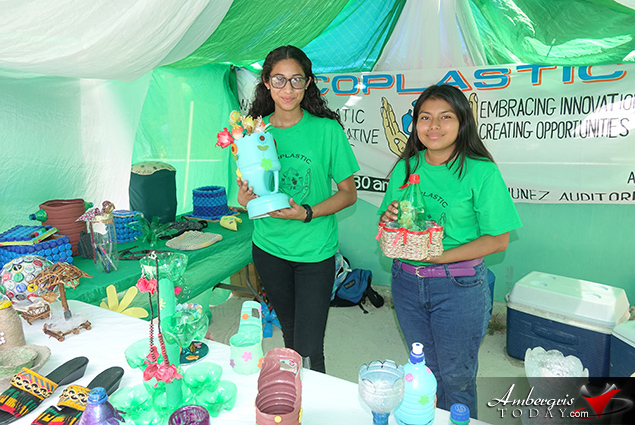 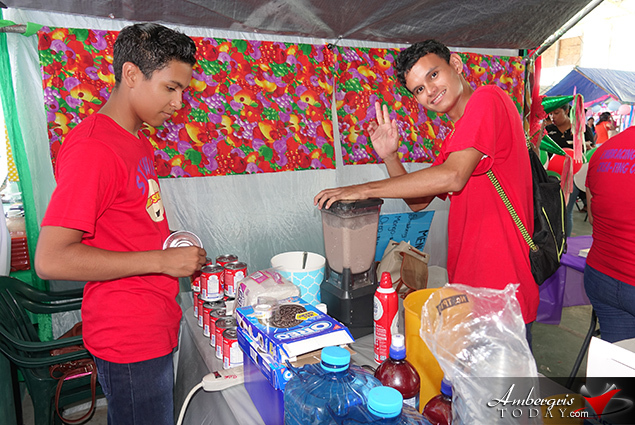 There were lots of fun booths from burger huts, smoothies, elotes (corn in a cob or cup)booth, medical plazas, Water Park displays, candy shops, pastry shops, recyclable furniture and so much more; the ideas for new business ventures for the island of Ambergris Caye were free flowing at San Pedro High School's Business Fair. 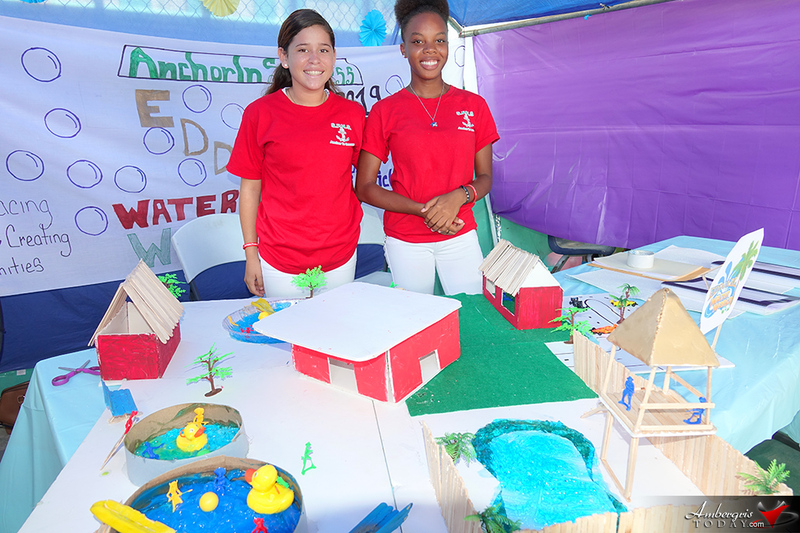 The fair was full of well-decorated booths and thought out business plans. 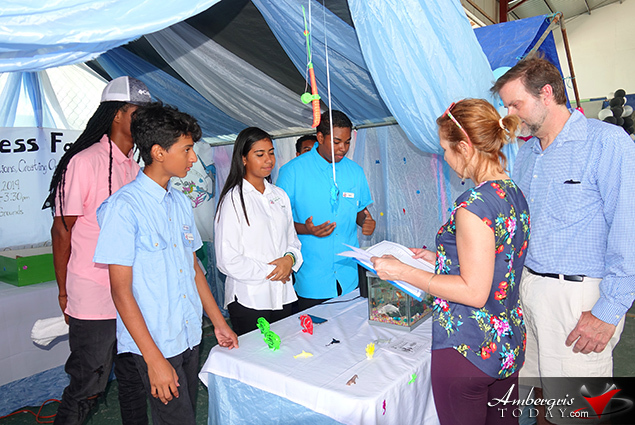 Those with products were selling to visitors and those with business plans pitched the perfect idea of a new business in town. 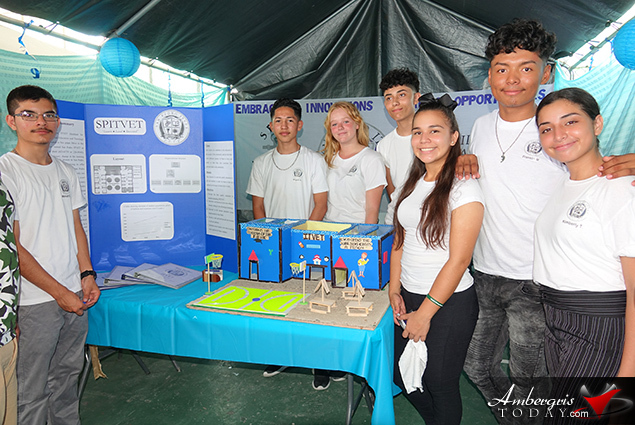 Winners for the Junior division were EDDJABLE Water Park and Future Strong Memorial Hospital tying in first place, second place went to 1UP and third place went to San Pedro ITVET. 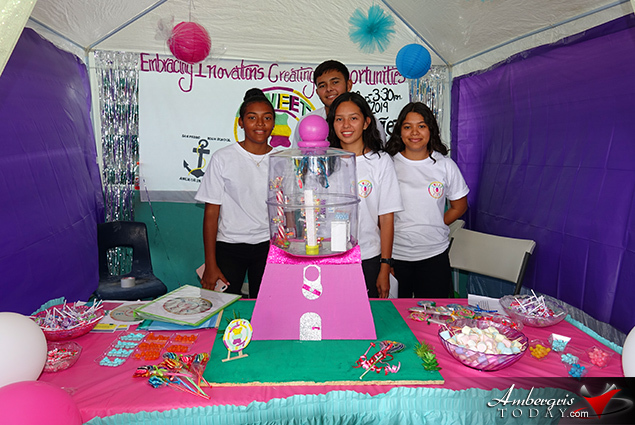 In the Senior category Frozen Summers took first place and Sweet Island Temptation took Second Place followed by Bamboujee in third place. 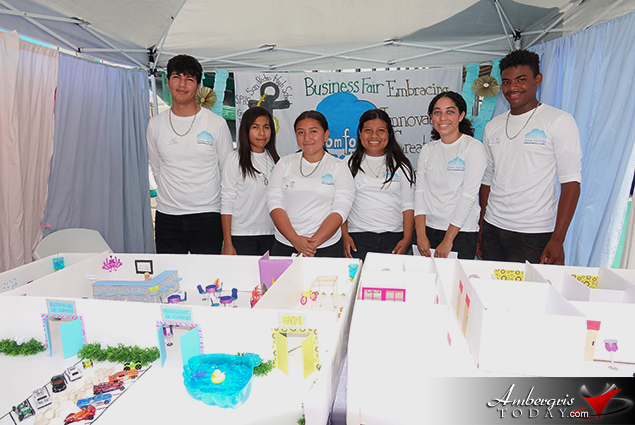 The Board of Directors, Faculty and Students of San Pedro High would like to thank all the sponsors who have supported the school in the 10 years that the Business Fair has been carried out. 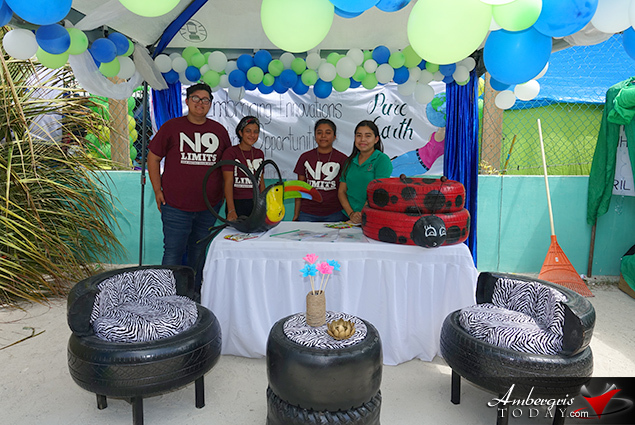 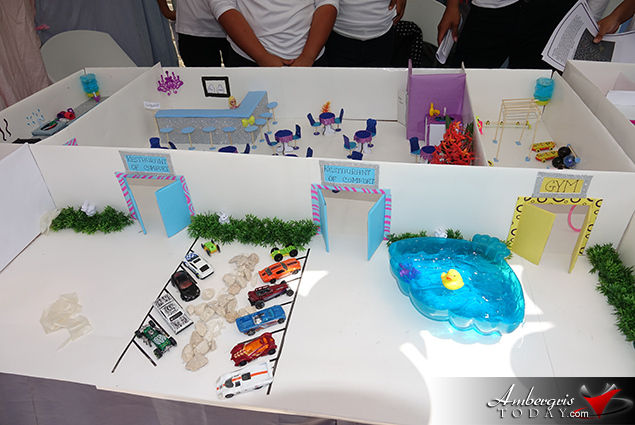 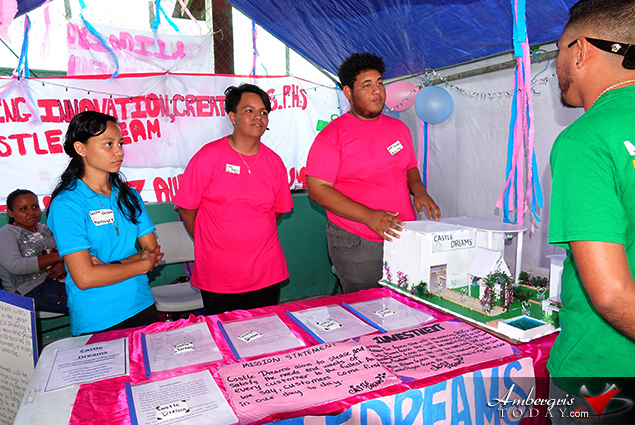 Special thanks to this year judges who assisted greatly in judging the student booths: Mrs. Lorraine Guerrero, Mr. Dimas Guerrero, Mr. Sandy Roberts, Mrs. Eleanor Gillett, Mr. Ian Pou Sr., Mr. Giovanni Pelayo, Ms. Amarainy Chi, Mr. Ismael Lisbey, Mr. Gricel Graniel and Ms. Mikaela Sosniecki. 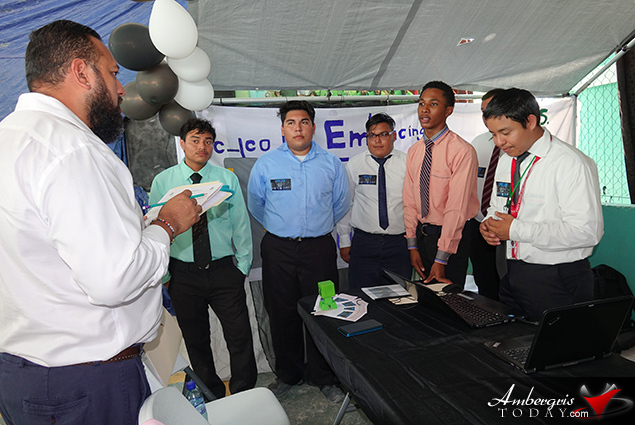 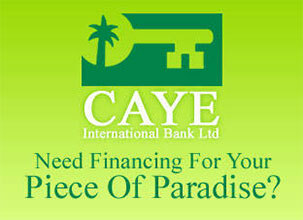 It was a great display of entrepreneurship by all the participating students; Great job everybody!